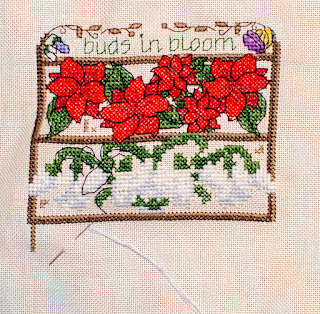 I've got the second box done outside of outlining. 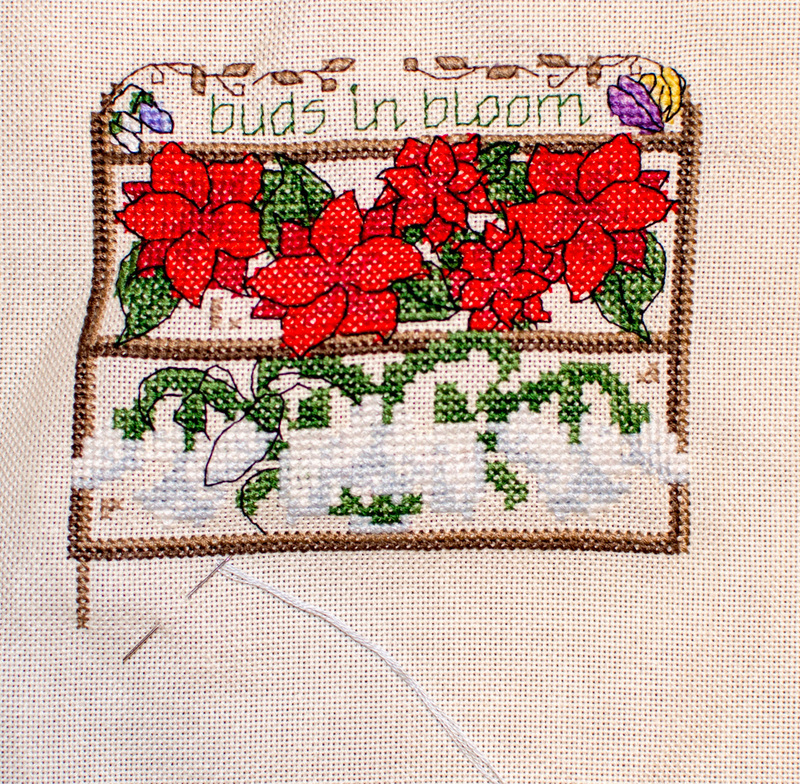 Once I'm done outlining the second box, I'll add the beads for the poinsettias. For now, I'm happy I'm progressing.